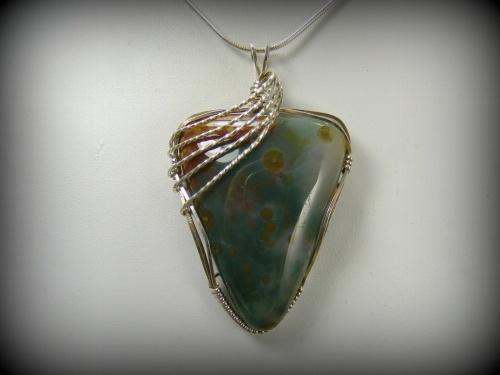 This elegant Ocean Jasper gemstone is sculpted in sterling silver just enough to embellish it but not hide it. The stone measures 2" from top of bail to bottom of stone and 1 1/4" wide. Comes with a sterling silver snake chain.